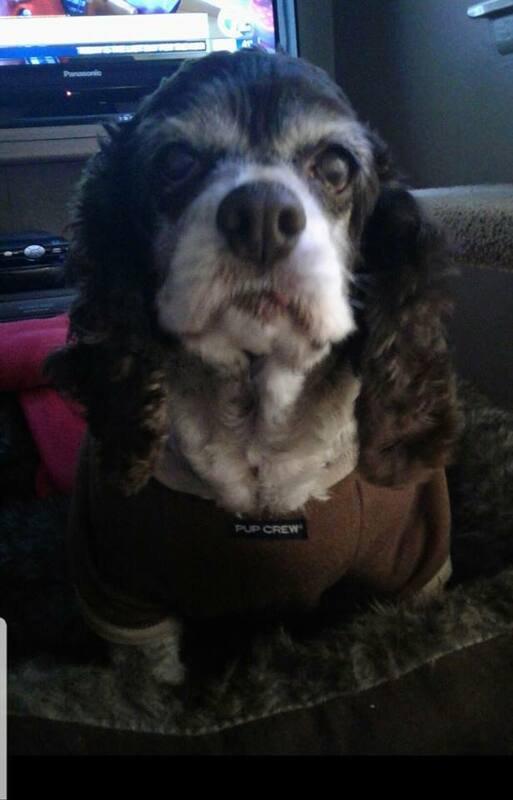 3/14/19 – Having gone through the experience of Sundowner’s syndrome with both Tony’s mom and my mom, my heart breaks for what Rosie Roo is going through. In my mom’s case, she didn’t recognize my dad and would see him as a stranger or sometimes her mother. Every night she would call in fear because she was totally disoriented and wanted me to go to her house. By the next morning things would be better but then it would start again at night. Unfortunately this syndrome eventually leads to full-blown dementia. Our Rosie, although, a senior dog, is going through similar issues of disorientation, restlessness, and fear. Please say a little prayer for her and the family because there are no magic pills. And unlike the case with humans, the most difficult decision we have to make for our pets, will have to be made for Rosie. Thank you to all of our friends who have helped us support Rosie since the day she was rescued. Her life wasn’t easy but she has been much loved. – diana From a Second Chance For Chance: Hey Team, its me….your gurl Roo!!! A lot of you have been asking today how I slept last night. We’re sorry we didnt get back to you earlier but mom had an early appt with Grandma at the drs for Grandma’s 1st after surgery check up! And then when mom came home we all had a nice nap . Great news for Grandma, shes doing awesome!!!! Soooo, We didnt get too much sleep last night but we did get maybe 2hrs, we were happy for that! 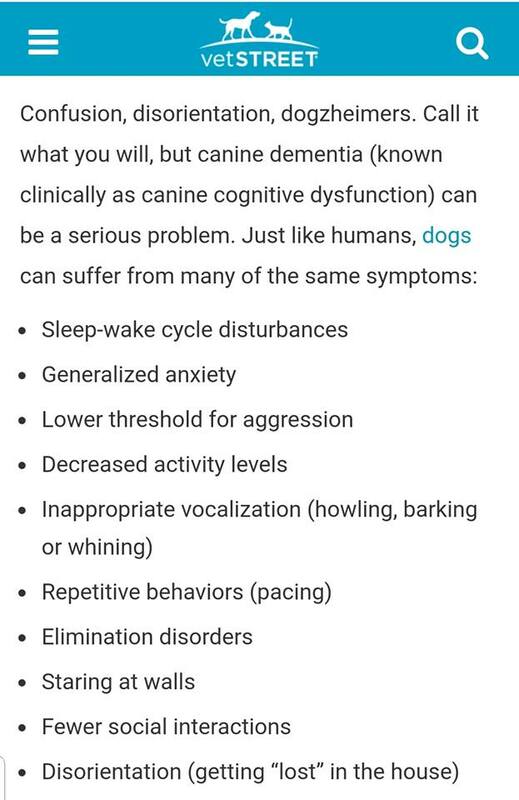 Doggy Dementia is a real thing and it’s scary. Waking up disoriented and scared of course I’m going to bark for mom even if shes 2ft away. 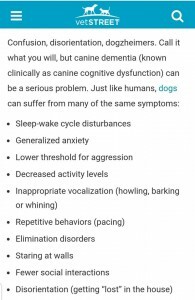 Along with the symptoms listed here, you have to remember I am about 17yrs old and my sight & hearing are also pretty bad and my arthritis is hurting more & more where I have to be carried up & down the stairs a lot at night now. Mom would never ever make me sleep downstairs by myself and our bedroom is upstairs. We’ve been trying different meds to help with all these problems, but so far nothing helps too much. Mom will be seeing Dr. Z tomorrow when she makes the trip with Auntie Debra to take Auntie Debras Louie for his dental and our Trixie for her check up. Mom & Dr. Z will discuss what other meds might be a good option for me to help at night. One thing we all know is the most important thing to mom & 4 Paws 1 Heart is MY happiness, MY comfort and MY quality of life. With those things in mind, I know mom will always do what’s best for me. Well, I do believe I feel a nap coming on!